Obamacare needs to draw in more uninsured Americans -- the healthier, the better -- this fall to put it on more stable footing. The exchanges have enrolled 11.1 million people, as of March, according to the latest federal data. That's up only a little from the 9.9 million covered as of the summer of 2015. Many enrollees, however, have been sicker than expected and have spent more on health care than insurers predicted. Premiums have not covered these higher costs, leading several insurers to downsize their presence on the exchanges to stem hundreds of millions of dollars in losses. 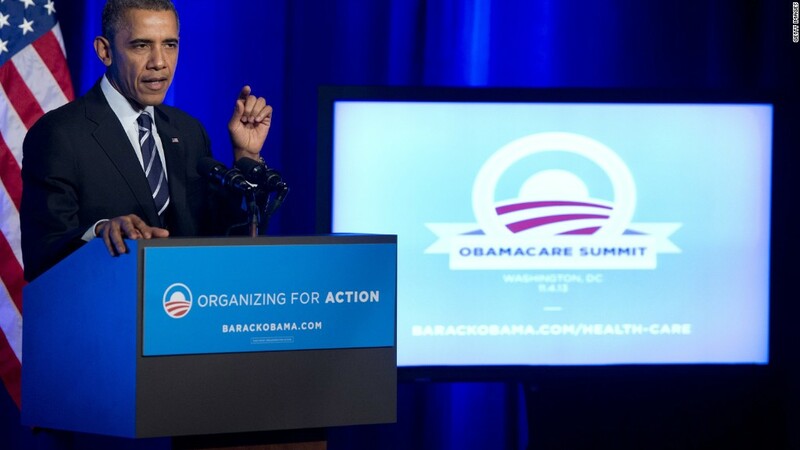 Related: Will Obamacare survive as insurers pull out? So it's critical that more of the 28.6 million folks who remain uninsured sign up when open enrollment begins in November, which is prompting the administration to roll out a big push later this year. A healthy boost in enrollment would likely signal that healthier people are entering the market. "In order to encourage insurers to come back, strong enrollment is critical, especially in this enrollment cycle," said Cynthia Cox, associate director, health reform and private insurance, at the Kaiser Family Foundation. But if enrollment growth is weak, more insurers may bail, she said. Overall, some 20 million people have gained insurance thanks to Obamacare, according to the Obama administration, citing Gallup-Healthways Well-Being Index Survey data. The problems in the exchanges mask the fact that millions of low-income Americans are now covered by Medicaid and young adults can now stay on their parents' policies until age 26. The uninsured rate has fallen to a record low 9.1%. Still, providing coverage on the individual exchanges remains a struggle. Insurer downsizings mean that 19% of all enrollees will only have a single company to choose from, up from 2% this year, according to a new Kaiser analysis. And 38% of enrollees may only have two insurers in their exchanges. One reason behind the large hikes is that many insurers underpriced their plans to attract enrollees. Even so, enrollment has been significantly lower than initially expected. Back in February 2013, the Congressional Budget Office projected that 24 million people would be in the exchanges by 2016, in part because some employers would drop coverage, forcing workers into Obamacare. Not only did that not happen, but the subsidies did not attract and the penalties did not scare the uninsured into signing up. CBO now projects only 12 million will sign up for this year. However, the CBO figures do not reflect how many people need to enroll to be successful, Cox said. The estimates were calculated to give the federal government an idea of the cost of the subsidies. While the administration initially, though somewhat reluctantly, embraced the projections as a goal, it has since scaled back the figures. To boost those figures for 2017, the Department of Health & Human Services is planning a big push to get people -- particularly young adults who are likely to be healthier -- to sign up. For the first time, the department will reach out directly to Americans who had to pay the penalty for being uninsured in 2015. The penalty for this year goes up to $695 per adult, though taxpayers won't feel the bite until they file their returns next spring. It will also reach out to 26-year-olds who are transitioning off their parents' plans, encouraging their parents' employers to provide information about signing up on the exchanges. It will also conduct email campaigns and partner with non-profits to reach out to this market. "As in past years, a wide range of resources will be available to help consumers find a 2017 plan that works for them and their families when open enrollment begins November 1st," said HHS Press Secretary Marjorie Connolly.